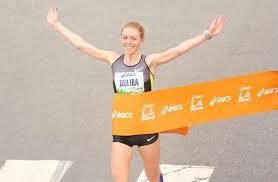 28th Asics Los Angeles or La Marathon 2013 winner in Women is Aleksandra Duliba. While in Men’s race is Kenyan Erick Mose. Who is Aleksandra Duliba? She is a 27 year old and a first time marathon runner from Belarus. She won the race with unofficial time of 2:26:08 and $50,000 gender challenge in La Marathon 2013. 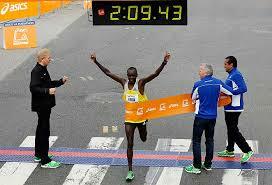 Kenyan Erick Mose wins the men race division with unofficial time of 2:09:43.. He is from Kenya.